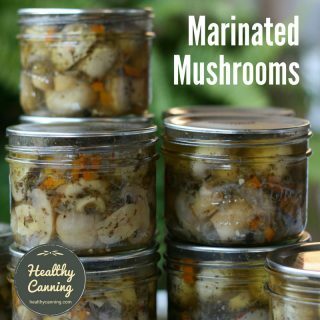 What is a reputable source for safe, quality home canning recipes and practices can depend on who you ask, and what hat they have on at the time. Some people, such as Master Food Preservers, are only allowed to recommend a very small set of sources in public, even though in their personal lives they may trust a broader set of resources. That being said, here’s an attempt at a list for discussion. The two top reputable resources that most people, in the States at least, agree upon are the USDA‘s home canning division, and the National Center for Home Food Preservation. Next in rank come the American University Cooperative Extensions. The University of Georgia issues the book So Easy to Preserve, which everyone seems to agree is a highly-reputable source of recipes. To search at least 50 Extension Services all at once for home canning information, you may wish to try this search engine: Cooperative Extension Sites search engine. In its own test kitchen and using offsite labs, too, Jarden looks at elements like pH, canner size, jar size, and how to prep ingredients. Additionally, it has labs analyze the processes. ‘What we do is collect data, and that’s just heat penetration data to ensure that the time it takes to heat the product, the coolest spot in the jar is achieved and it’s hot enough and kept at the temperature long enough to kill the target microorganisms,’ said Lauren Devine, Test Kitchen Scientist. Her name appears on some Ball titles. ‘We have to make sure that we’re killing the target microorganisms, as well as removing the air from the jar so you can essentially get a vacuum seal, and everything inside has been killed.’  Halloran, Amy. 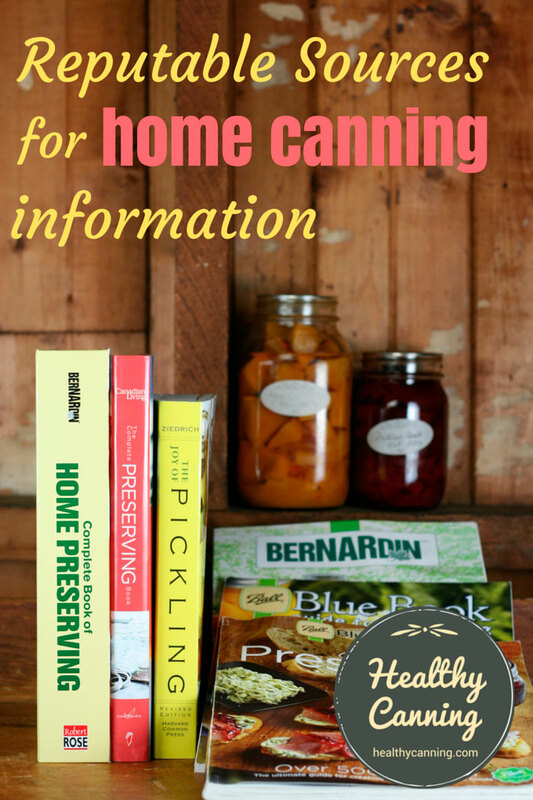 Preserving the Art of Canning Safely at Home. Seattle, Washington: Food Safety News. 26 April 2011. Accessed March 2015. Newell issues the Ball Blue Book, the Ball / Bernardin Complete Guide*, the Ball All New, and the Bernardin Guide. *Note that The Ball Complete Guide, as it is labelled for sales in the States, is actually written and published in Canada by Bernardin. Note: some University extensions have expressed reservations about the Ball All New book. Canadians can add “Canadian Living” magazine, who lab test their all their home canning recipes to Bernardin /USDA standards for pH, heat penetration, etc, making their home canning book a Ball / Bernardin equivalent. The current Presto pressure canner manual is also considered reliable by top canning authorities. This is not a surprise, because half its recipes are from Ball, and the other half, from the USDA Complete Guide. To be clear: the current one, not ones from decades gone by. Mrs Wages sells package mixes to be used in home preserving in the States. Their products, when used with their directions, are considered reputable. The people at Pomona’s Pectin are considered by many to be a careful, reliable resource for home canned jellies, jams, fruit syrups, etc. The Complete Book of Small Batch Preserving by Ellie Topp and Margaret Howard. Putting Food By, Ruth Hertzberg, Beatrice Vaughan and Janet Green, Bantam Books, Inc (Look for the 2010 edition, or later if there is ever a later one.) Utah State has also been known to cite it in references. For example, in: Lauritzen, Georgia C. Reduced Sugar and Sugar-free Food Preservation. Utah State University Cooperative Extension. FN209. 1992. Accessed March 2015. Note however that they still include canning directions for celery, eggplant and summer squash, which other sources such as Ball and the USDA withdrew a few decades ago. There are some apparent errors on some State Extension sites. This is not referring to a difference of opinion, or of one extension having access to research documentation that the others don’t (for example Utah endorsing Thick Gel® and Pennsylvania endorsing ThermFlo® as Clearjel® alternatives, based on research they have access to), but rather items that appear to be actual errors. 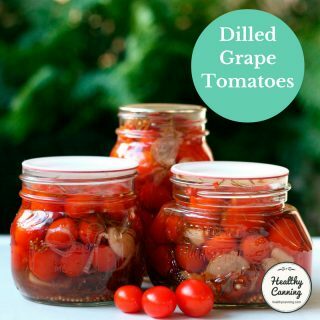 At Colorado State Extension, Patricia Kendall appears to say that you don’t have to acidify tomatoes if you are pressure canning them: “the product must be canned in a pressure canner as a low-acid product or …..add lemon juice or citric acid when processing in a boiling water bath.”  Kendall, Pat. Canning Tomatoes and Tomato Products. Colorado State University Extension. No. 9.341. May 2012. Accessed May 2015. 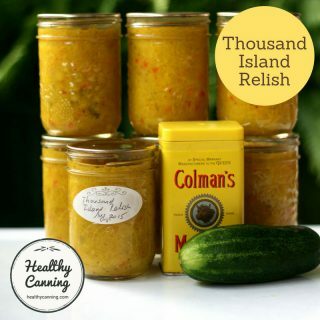 HealthyCanning wrote to query this, but never heard back. Elizabeth Andress, head of the NCHFP and the author of the current recommendation in the USDA complete guide, says that tomatoes must always be acidified regardless of the method of processing: “The USDA process for home canning of tomatoes is only based on it being below a pH of 4.6 or treated as an acid food. Even when we provide a pressure canning alternative in the USDA book it is only the equivalent of a boiling water process. In other words you can use a higher temperature in the canner so you can have a shorter time, it was never developed as a process for pressure canning for elimination of concerns about botulism as if it were a low acid tomato. So that’s why we say you still have to acidify if you use the pressure canning when both are offered, they are only equivalent processes, there is not a separate pressure canning process for controlling botulism in tomatoes that anyone has researched and properly tested.”  Andress, Elizabeth. “History, Science and Current Practice in Home Food Preservation.” Webinar. 17:00. 27 February 2013. Accessed January 2015. Barbara Ingham, Extension Agent at the University of Wisconsin says the actual white plastic Tattler lids are good for only 10 uses, and shows a Tattler lid with “countdown” tickmarks she has written on it in red perma-marker  Ingham, Barb. Safe Preserving: Reusable Canning Lids. University of Wisconsin Extension. Blog post dated 9 July 2014. Accessed May 2015 at https://fyi.uwex.edu/safepreserving/2014/07/09/safe-preserving-reusable-canning-lids/. . In any event, this is just a minor misunderstanding: what a manufacturer representative at the time actually said was that it was the red rubber gasket rings that were only good for 10 (10 to 15) uses. And, in the event, the manufacturer has since clarified that the rep misspoke, and that Tattler currently knows of no precise limit on the number of times the red rings can be used, but that it is much, much higher than 10 to 15 times. The University of Tennessee Extension has attributed to salt and sugar, rather than vinegar, the ability to prevent botulism in preserves: “Sugar is an important ingredient for preserving some pickles, typically your quick pickles that are not fermented. Because the vegetables used in pickling are low-acid, it can be dangerous to alter the sugar and salt in pickle recipes because of the potential of botulism.”  Janie Burney, University of Tennessee Extension Associate Professor. “Tips for Reducing Sugar in Home Canning Recipes”. 17 June 2015. Sevier County News letter. 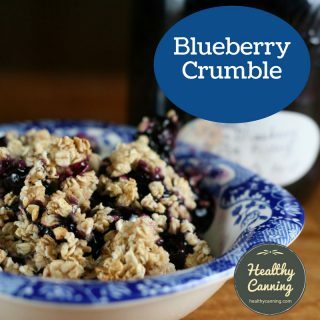 Accessed June 2015 at https://www.seviernewsmessenger.com/2015/06/17/reduced-sugar-canning-recipes/ Note that to backup their opinion, they simply bring out the big “B” clobber word at the end. In fact, all their fellow Extensions, as well as the USDA and NCFHP, disagree with that, saying that the sugar and salt in the quantities normally used in home canning are not a preservative in terms of health and safety. With respect, Tennessee is wrong in their statement. Do not rely on sugar and salt for your safety in home canned food. Aside from a very small handful of tested recipes which depend on control of water activity for safety, and salt to control fermentation (sauerkraut, fermented dills) sugar and salt in home canning recipes will not save you. There was an outbreak of botulism in Vancouver in 2011 from watermelon jelly which had boatloads of sugar in it. 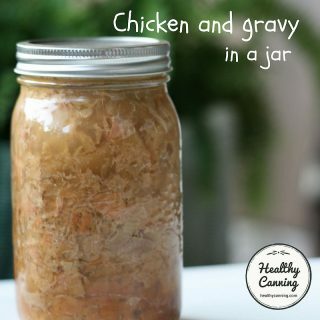 Safety in the food product is controlled either by high heat treatment via pressure canning for low-acid foods, or, by high acidity along with a lower heat treatment to sterilize the contents of the jar. … follow directions provided by a reliable science-based source like USDA or partners in the Cooperative Extension System.”  Burning Issue: Canning Homemade Soups. National Center for Home Food Preservation. 27 March 2013. Accessed March 2015. 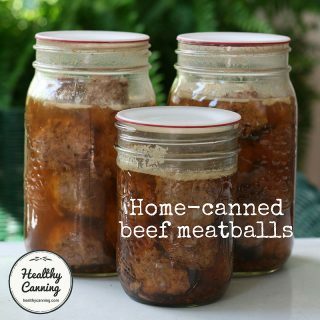 The National Center for Home Food Preservation and Ball Corporation are examples of sources of validated home canning recipes.”  Parto, Naghmeh. Ontario Agency for Health Protection and Promotion (Public Health Ontario). Home canning: literature review. Toronto, ON: Queen’s Printer for Ontario; 2014. ISBN 978-1-4606-4166-8 [PDF] page 9. Examples of tested recipes can be found in canning cookbooks such as Ball’s Home Guide to Food Preservation, So Easy to Preserve or recipes contained in pectin or other canning ingredients made by companies such as Mrs. Wages, Ball and Kerr (affiliated companies of Jardin Home brands www.jardinhomebrands.com). ”  Little, Lynn et al. Grow It Eat It Preserve It: Food Preservation Curriculum. University of Maryland Extension. Extension Curricula EC-03-2013. Jan 2014. Accessed March 2015. You may use a custom recipe and process approved by a competent processing authority. A processing authority is a person or organization having expert knowledge of thermal processing requirements for foods in hermetically sealed containers, and who also has access to a testing facility for making such determinations.” Approved Recipe and Process. Accessed March 2015 at https://www.health.state.mn.us/divs/eh/food/fs/canningfs.html. Master Food Preservers have a very short list of sources that they are allowed to use and endorse publicly in their teaching. That includes the National Center, the USDA Complete Guide, So Easy to Preserve, and the Ball Blue Book. In some regions, they are not currently (2017) allowed to use the Ball All New book owing to reservations about some of the recipes in it. While privately these people at home for their own personal use may draw on a broader range of recipes — say, Linda Ziedrich for example — in public, they have to toe the line. You need to be wary of Internet sources. Many are being used to transfer a great deal of unreliable and unsafe information. “There is … transfer of non-scientific or high-risk directions for home canning and processing of foods occurring frequently.”  Andress, Elizabeth. Current Home Canning Practices in the U.S.. National Center for Home Food Preservation. Paper 46B-3. Presented at the Institute of Food Technologists Annual Meeting Anaheim, CA, June 17, 2002. Accessed March 2015. In trying to determine whether a canning recipe you’ve found on the Internet is actually safe, see if they quote any of the above reputable sources as their source. If they don’t, the recipe may be high-risk. “Cooking internet blogs are not credible sources unless the blog provides the source for the [canning] recipe.”  Little, Lynn et al. Grow It Eat It Preserve It: Food Preservation Curriculum. University of Maryland Extension. Extension Curricula EC-03-2013. Jan 2014. Accessed March 2015. Internet sources to avoid getting home canning recipes from are too many to even start a list of, but it’s worth singling out a few prominent ones. Brits will be apoplectic and incredulous that this list omits the illustrious and indomitable Women’s Institute (WI), but the WI still endorses and encourages the outdated practice of open kettle canning which is now documented as unsafe, and for that reason cannot be currently included on this list of reputable sources. It is true that most of the safe, reputable sources on the list are American or Canadian. Many people in other countries may resent that, but they shouldn’t: it’s because the Americans bothered to invest a few tax dollars in official, evidence-based scientific research for safe home canning. That research trickled out and is paying dividends to this day. Other governments in London, Canberra, Ottawa or Wellington would no doubt be welcome to join the effort one day by reaching into their pockets and pitching in their fair share towards the funding, as they used to decades ago before diverting the funding elsewhere. 1. ↑ Halloran, Amy. Preserving the Art of Canning Safely at Home. Seattle, Washington: Food Safety News. 26 April 2011. Accessed March 2015. 3. ↑ For example, in: Lauritzen, Georgia C. Reduced Sugar and Sugar-free Food Preservation. Utah State University Cooperative Extension. FN209. 1992. Accessed March 2015. 4. ↑ Kendall, Pat. Canning Tomatoes and Tomato Products. Colorado State University Extension. No. 9.341. May 2012. Accessed May 2015. 5. ↑ Andress, Elizabeth. “History, Science and Current Practice in Home Food Preservation.” Webinar. 17:00. 27 February 2013. Accessed January 2015. 6. ↑ Ingham, Barb. Safe Preserving: Reusable Canning Lids. University of Wisconsin Extension. Blog post dated 9 July 2014. Accessed May 2015 at https://fyi.uwex.edu/safepreserving/2014/07/09/safe-preserving-reusable-canning-lids/. 8. ↑ Burning Issue: Canning Homemade Soups. National Center for Home Food Preservation. 27 March 2013. Accessed March 2015. 10. ↑ Parto, Naghmeh. Ontario Agency for Health Protection and Promotion (Public Health Ontario). Home canning: literature review. Toronto, ON: Queen’s Printer for Ontario; 2014. ISBN 978-1-4606-4166-8 [PDF] page 9. 11. ↑ Little, Lynn et al. Grow It Eat It Preserve It: Food Preservation Curriculum. University of Maryland Extension. Extension Curricula EC-03-2013. Jan 2014. Accessed March 2015. 12. ↑ Approved Recipe and Process. Accessed March 2015 at https://www.health.state.mn.us/divs/eh/food/fs/canningfs.html. 13. ↑ Andress, Elizabeth. Current Home Canning Practices in the U.S.. National Center for Home Food Preservation. Paper 46B-3. Presented at the Institute of Food Technologists Annual Meeting Anaheim, CA, June 17, 2002. Accessed March 2015. 14. ↑ Little, Lynn et al. Grow It Eat It Preserve It: Food Preservation Curriculum. University of Maryland Extension. Extension Curricula EC-03-2013. Jan 2014. Accessed March 2015.
in this page, you state that safety guidelines regarding canning were updated in 2010. It would follow that sources earlier than 2010 should be seen as mostly unreliable. THE COMPLETE BOOK OF SMALL-BATCH PRESERVING by Ellie Topp and Margaret Howard has been edited in 2007. 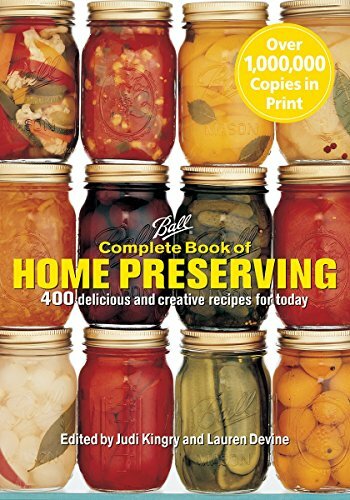 My first question is: should I still consider this book as a safe reference book on canning, and second: could these authors’ new book (2012) PRESERVING MADE EASY: SMALL BATCHES AND SIMPLE TECHNIQUES be considered as a substitute reference book? Especially since it is from the same authors?